You have a few good options. This post was done in partnership with Wirecutter, reviews for the real world. When readers choose to buy Wirecutter's independently chosen editorial picks, it may earn affiliate commissions that support its work. Read the full article here. After doing 13 hours of research and considering 76 models, we performed dozens of hours of real-world testing and 13 additional hours of focused, in-depth testing on the top 14 Bluetooth-audio receivers for adding wireless connectivity to an existing audio system. 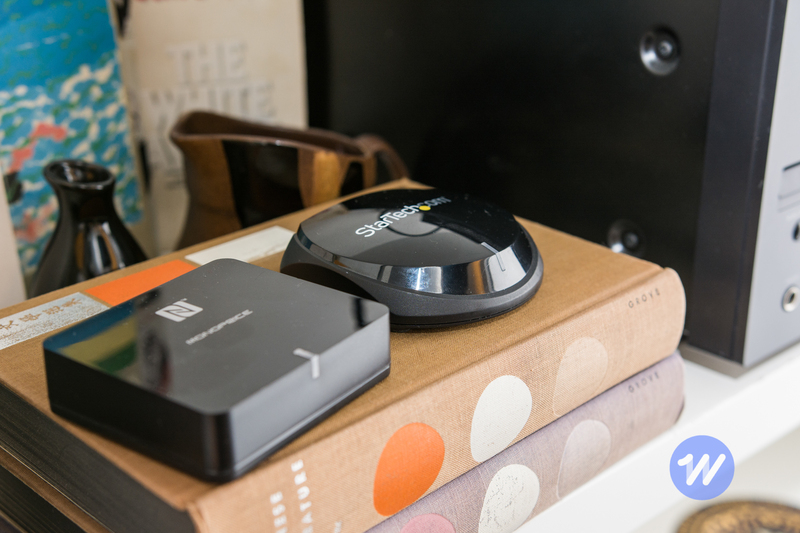 We think the StarTech BT2A Bluetooth Audio Receiver is the best receiver for most people thanks to its combination of connectivity, range, audio quality, and usability at a reasonable price. Whether it's because your new smartphone has no headphone jack, or you aren't ready to give up your old stereo in favor of a great Bluetooth speaker, a Bluetooth audio receiver can add wireless streaming capabilities to your existing home stereo or speakers with little loss in sound quality. 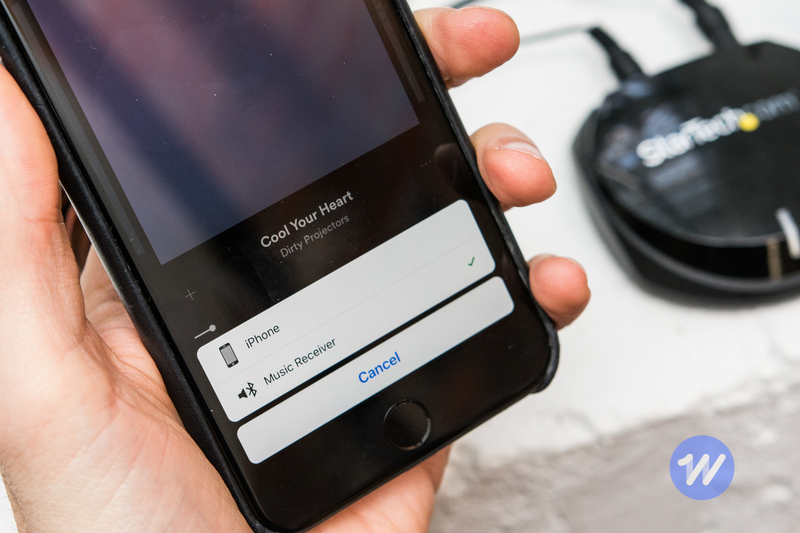 The ideal Bluetooth receiver should sound as good as a direct, wired connection. It should pair with your devices easily and reliably, and should have a large-enough range to cover a typical living area. We also like when a Bluetooth receiver has a digital audio output, which allows you to use an optional, separate DAC (digital-to-analog converter) for better sound quality. 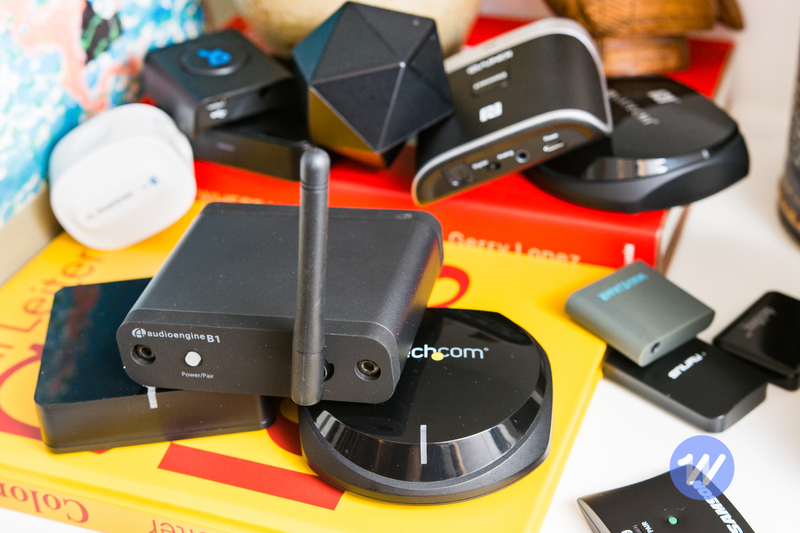 We considered 76 top Bluetooth receivers, and ultimately tested 14 models. For our tests, we paired each one first to a MacBook and an iPhone to see how easy it was to pair source devices to the receiver. We also tested how reliably the receiver connected and disconnected once paired, how well it reconnected following a disconnection, and how easy it was to switch to a different source. For devices that could pair with multiple devices simultaneously, we used up to six devices to test this feature. To evaluate audio quality, we first used each device to listen to background music, then compared them head-to-head using our favorite test tracks. We also assessed the range of each receiver by measuring the distance at which music started skipping with both an unobstructed and obstructed line of sight. To read about our testing process in more detail, please see our full guide. The StarTech BT2A Bluetooth Audio Receiver is our top pick for most people thanks to its combination of good sound quality, range, usability, connectivity, and price. In our tests, it reliably paired to new devices and reconnected to old devices, and it could remember up to eight paired devices. It comes from a reputable vendor, has a two-year warranty, and is reasonably priced. In terms of audio quality, the BT2A—along with our runner-up, below—provided the best sound quality of the models we tested in this price range. Overall, these two models offered better dynamic range and crisper high-frequency and midrange detail compared with similarly priced models, along with minimal high-frequency distortion and a tight low end. The BT2A also features an optical digital-audio output, allowing you to upgrade audio quality by using an external DAC. While running our tests, we noticed that Monoprice's Bluetooth Streaming Music Receiver appears to be functionally identical to the StarTech BT2A. When we opened both models, we found that they use the same circuit board and the same DAC, and they performed essentially identically in our testing. We made the StarTech receiver our top pick because it's covered by a two-year warranty, versus only one year for the Monoprice receiver, but the Monoprice is also a safe buy. 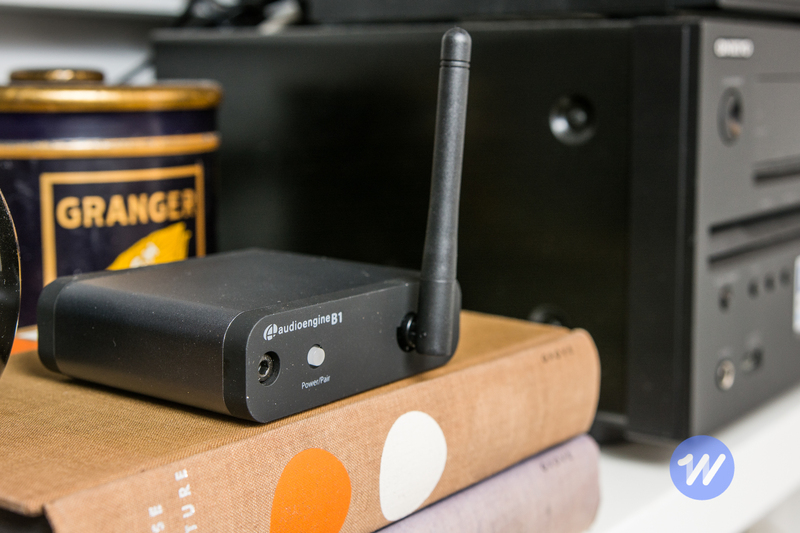 If you have nice speakers or a higher-end audio system—such as our picks for best receiver and bookshelf speakers—and you want a Bluetooth connection that can do them justice, the Audioengine B1 Bluetooth Music Receiver is a great upgrade choice. The B1 is based on the same circuitry as Audioengine's well-regarded D1 DAC, and the unit's audio quality reflects this: It offers better sound, by a good margin, than the less expensive Bluetooth receivers we tested. Music is lively and involving, with crisp, clear highs; detailed midrange; and tight, clean bass. The Audioengine B1 also includes optical-digital output if you want to hook it up to an even better DAC in the future. The B1 is also the only model we tested that includes an external antenna. According to Audioengine, the antenna extends the B1's range to 100 feet, three times what most other receivers claim. In our tests, the B1 never skipped, even when at maximum range. Before Bluetooth speakers became ubiquitous, many people bought speaker docks—compact speaker systems with a docking cradle for a smartphone or MP3 player. The vast majority of these used Apple's older 30-pin dock connector, which has since been replaced by the Lightning connector. 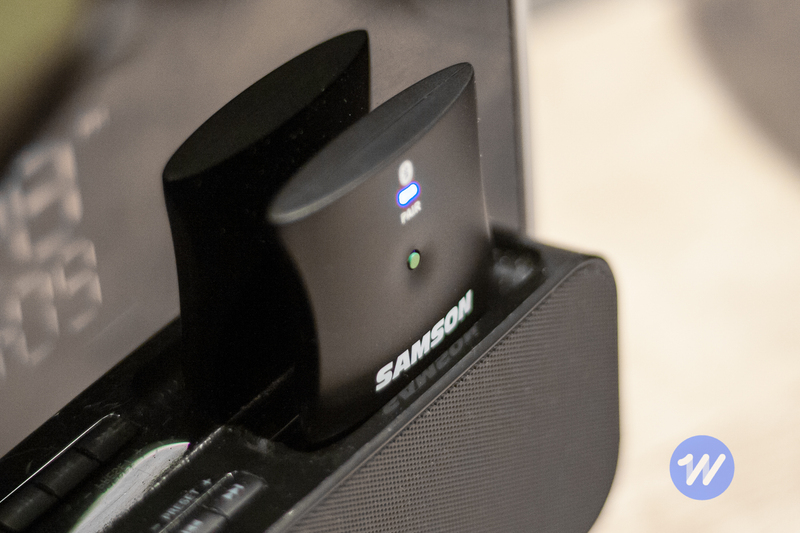 If you have one of these 30-pin docks, you can use Samson's 30-Pin Bluetooth Receiver BT30 to wirelessly stream music to it. The BT30's sound quality isn't fantastic, but it is better than any of the other dock-connector models we tested. Its range is also superior to that of the other models we tested, and pairing and connecting Bluetooth devices is hassle-free. This guide may have been updated by Wirecutter. To see the current recommendation, please go here. Note from Wirecutter: When readers choose to buy our independently chosen editorial picks, we may earn affiliate commissions that support our work. Wirecutter is a list of of the best gear and gadgets for people who want to save the time and stress of figuring out what to buy. Their recommendations are made through vigorous reporting, interviewing, and testing by teams of veteran journalists, scientists, and researchers.